CIRE staff archaeologists conducting a field survey at New Jersey’s Warren Grove Gunnery Range. Applicants are invited by UM and CIRE for 4 vacant Fire Management Specialist (FMS) positions. The FMS will serve in a lead role in day-to-day operations at one of 4 Air Force installations. 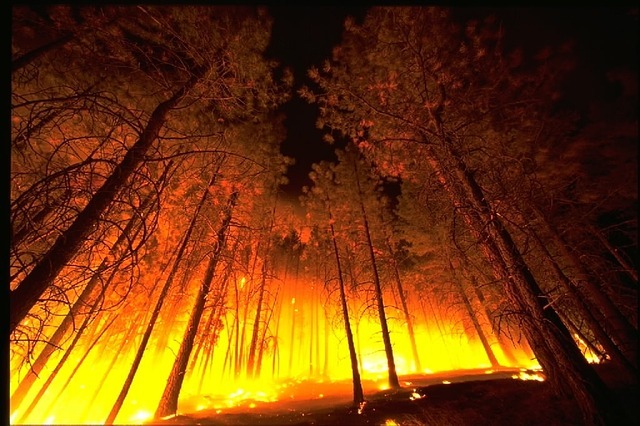 They will orchestrate and lead inter-agency Wildland Fire Support Modules, be responsible for executing prescribed burn, mechanical fuel treatments, and assist with wildfire suppression within their area for responsibility. Please follow the title link for more information. Scott Sheehan, 66th Civil Engineering Division environmental engineer, works with AFCEC and UM CIRE at Hanscom AFB assist in CIRE's 90 day bat survey looking for bat species presence. Read the Hanscom AFB publication regarding the study UM CIRE is undertaking for AFCEC and the US Army Corp of Engineers. CIRE has been leading a variety of projects in both natural and cultural resources with the help of world class scientists and experts. They provide some of the best options for success. In this article, you will become familiar with some of CIRE's researchers and their projects. Watch CIRE's promotional video on its YouTube channel. The video can also be found embedded on the About CIRE webpage. 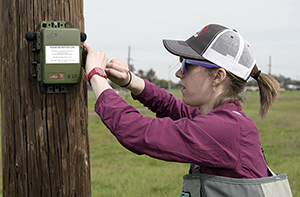 Find out how the Center for Integrated Research on the Environment manages military projects for the Army Corps of Engineers. The Center for Integrated Research on the Environment (CIRE) is specifically designed and organized to bring world-class research and sustainable management of natural and cultural resources to projects under federal, state, and/or tribal jurisdictions. 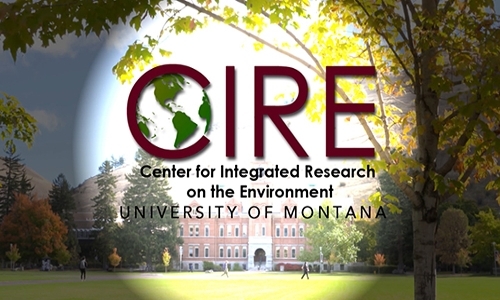 CIRE directly oversees or has direct access to research laboratories across the University of Montana specializing in water quality analyses, metals analyses, wildland fire, genetics and gene sequencing, soils analyses, wildlife physiology, plant physiology, anthropological and archaeological field-processing and curation, ecological simulation modeling, human environmental health and toxicology, and state-of-the-art GIS, to name but a few. CIRE can also deploy cutting-edge field equipment in the natural and cultural resources from aircraft and remote sensing imaging equipment (hyperspectral, multispectral, thermal), to 3D LIDAR imaging, to aquatic and terrestrial field instrumentation, boats and field vehicles. Collectively, the CIRE Director and CIRE Project PIs have published well over 1000 peer-reviewed publications in prestigious international journals and books and are world leaders in their respective fields. In addition to the CIRE Management Team, we draw from a broad array of professionals in academia and consulting firms to form an extensive network of colleagues and collaborators worldwide.